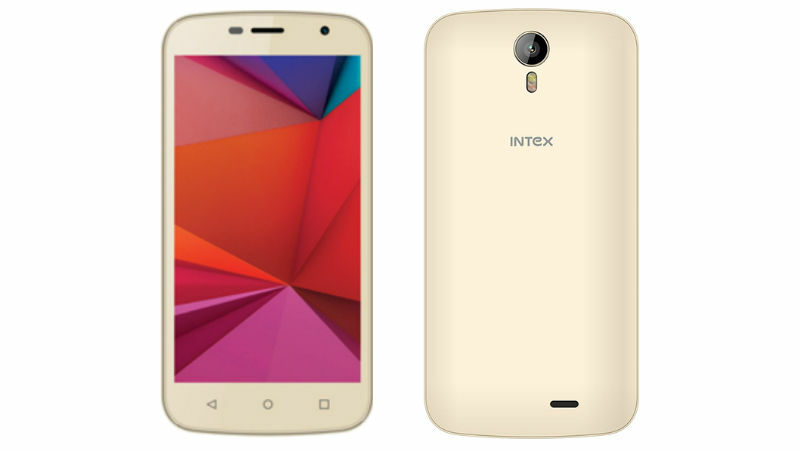 Intex has recently updated its Aqua series with Classic 2 to further improve its lineup in the Indian market. After Aqua E4, the Classic 2 is the next phone in the series which is priced at Rs 4,600 and is now available on all the major retail outlets across India. The phone is the successor of Classic and features sleek design with rounded edges with only one color option i.e Champagne. Classic 2 features a 5-inch FWVGA (480X854 pixels) display with a pixel density of ~196 PPI. Powering it is the 1.2GHz quad-core processor which is further accompanied with 1 GB RAM. The internal storage is 8 GB while the option of expanding it up to 32GB via MicroSD is also there. Out of 8 GB internal storage, available storage is 5 GB. Camera duties are handled by 5-MP camera with autofocus, dual LED Flash at the rear and a 5-megapixel at the front for selfies and video chats. The Intex Aqua Classic 2 packs a 2200mAh battery that the company claims to last for up to 6 hours of talk time, and up to 200 hours of standby time. Connectivity options include 4G LTE, GPRS/EDGE, 3G, A-GPS, Bluetooth, Wi-Fi 802.11 b/g/n and Micro-USB. The VoLTE is missing in this set and the phone runs on Android 6.0 Marshmallow and features dual micro SIM slots. The Intex Aqua Classic 2 will be facing competition from the likes of Xolo Era 1x, Lava A82, Asus Zenfone 5 and Lenovo A2010. With the sticker price of Rs 4,600 this smartphone from Intex has a significant set of specifications which justify its price segment. However, do wait for the hands on experience from our team and stay tuned to Gadgetstouse for latest updates of tech world.